Coconut oil is commonly sold as a health food and some claim the fat in it may be better for us than other saturated fats. The AHA, however, says there are no good studies to support this. The advice around which fats to eat can be very confusing. Animal fats, such as lard, are generally seen as bad, while plant oils, such as olive and sunflower, are seen as healthier options. That theory is based on how much of one particular type of fat - saturated fat or "sat fat" - these products contain. Eating a diet high in saturated fat can raise the level of "bad" (LDL) cholesterol in the blood, which, in turn, may clog the arteries and increase the risk of heart disease and stroke. 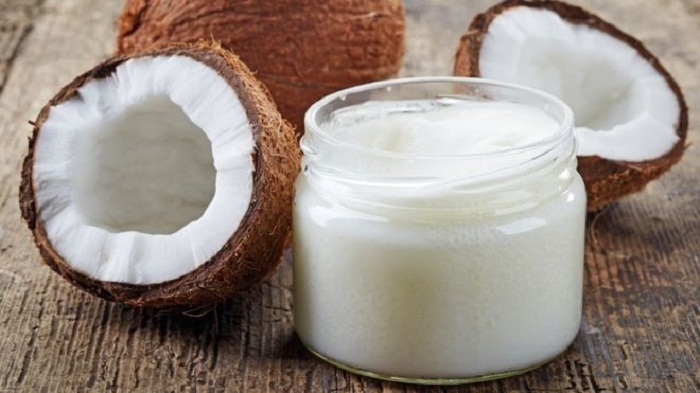 According to the AHA, 82% of the fat in coconut oil is saturated. That's more than in butter (63%), beef fat (50%) and pork lard (39%). And, like other saturated fats, studies show it can increase "bad" cholesterol. Some claim that the mixture of fats in coconut oil still make it a healthy option, but the AHA says there is no good-quality evidence for this. It says people should limit how much saturated fat they eat, replacing some of it with unsaturated vegetable oils - olive oil and sunflower oil, and their spreads. According to the AHA, studies show swaps such as this can lower cholesterol by the same magnitude as cholesterol-lowering drugs. Dr Frank Sacks, lead author of the AHA advice, said: "We want to set the record straight on why well-conducted scientific research overwhelmingly supports limiting saturated fat in the diet to prevent diseases of the heart and blood vessels." Nutritional labels on food display how much saturated fat is in products. But experts stress that fat is still an essential part of a healthy, balanced diet. We shouldn't cut out too much. Fat is a source of essential fatty acids and helps the body absorb vitamins, such as A, D and E.
Victoria Taylor from the British Heart Foundation said: "To eat well for your heart health it is not just about reducing fat but reducing specific types of fat and taking care over what these are replaced with - unsaturated fats and wholegrains, rather than sugars and refined carbohydrates. "Any change should be viewed in the context of a whole diet approach. The traditional Mediterranean diet has benefits for a range of risk factors for heart disease, not just cholesterol levels. "We recommend replacing the saturated fats in the diet with unsaturated fats - using oils instead of butter and choosing foods like avocado, oily fish, nuts and seeds instead of foods high in saturated fats like cakes, biscuits, chocolate and fatty meat." Is coconut oil really like poison?